Kennedy and Zach are the realest of the reals. They are creative, witty, and oh-so in love. They are also very trusting. Having already planned an engagement shoot with Kennedy and Zach, Adam asked if they would be open to us styling their shoot and for it all to be a surprise! If you’ve been following me for a week you know I LOVE SURPRISES! The only aspect that wasn’t a surprise were the flowers. how could these beauties be kept a secret?! Our goal was to create an organic and romantic environment for the couple to genuinely enjoy themselves and effortlessly laugh and dance. What is more effortless and romantic than a yurt? We partnered with The Co-op Venue to use their yurt and several elements from DG Stewart Design and Fabrication and Moon City Vintage to set the scene. One of my favorite moments of the entire shoot was when Kennedy and Zach arrived. As they walked up the hill to the site, they heard Brian Bulger playing before they saw the stylized setting. I could hear laughter, and I only imagined what was running through their minds. When they saw the yurt, with strung lights above, and flowers draped over the entrance to the tent their jaws dropped. It was the most romantic setting and moment. I could relive it over and over (If you want a surprise stylized setting for your engagement session, hit me up!). 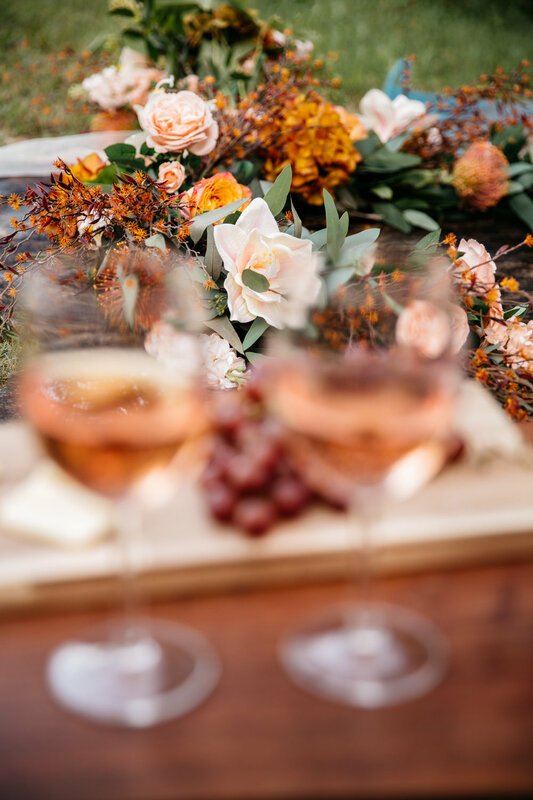 We are thrilled that Whimsically Wed has published this beautiful shoot! Kennedy and Zach’s joy is so contagious and they are a beautiful couple (inside and out)! We wish them the absolute best and a life full of love. I cannot wait for their wedding this spring! 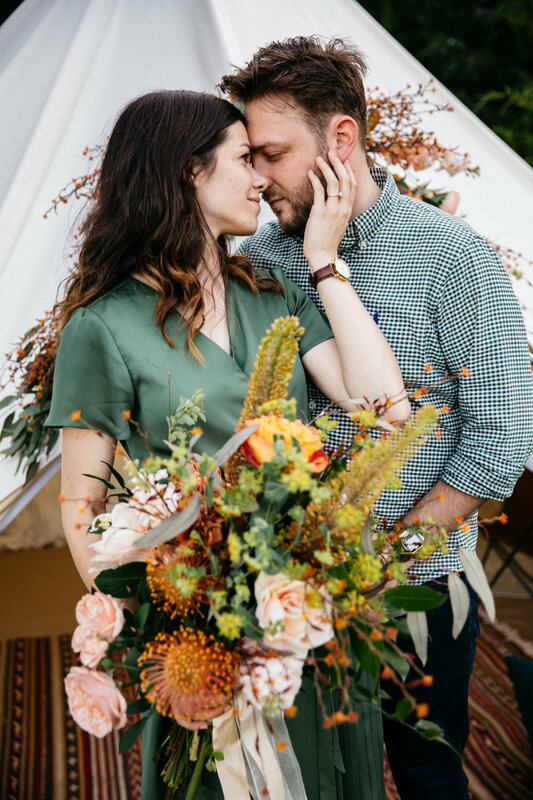 We hope you enjoy this real-life-styled-engagement shoot and that these images inspire you to live life full of love, joy, and trust because so many good surprises are ahead for you too. Considering styling your engagement session? The team at Wildly Collective and I would love to help your vision come to life.